Search engine marketing is one of the most important digital channels for advertisers. It’s been a proven winner for over a decade, comprising a large portion of nearly every online marketing budget. Paid search is successful because it matches ads with consumers via one of the most valuable pieces of intent data available to advertisers: the search keyword. Knowing what a consumer is searching for is like having a window into their current needs and interests. Each advertiser’s unique data set of these search terms is a valuable business asset that can be leveraged in a variety of ways to help drive smarter, one-on-one conversations and personalized experiences with customers. Having spent $18.4 billion on search advertising in 2013, marketers have perfected the art and science of understanding how to connect the right ads, offers and landing pages to keywords and phrases. There’s also a new sub-category of retargeting called search retargeting which targets banners ads to consumers based on advertiser keywords. And keyword searching isn’t restricted to Google and Yahoo! E-retailers, publishers and other sites with internal search engine capabilities have a high volume of daily searches that help marketers to understand what consumers are looking for on their owned properties. These keywords are mined to guide website managers on how to better organize their site or navigation and prioritize which new pages or website sections to build. Because the search term used by a customer is such a personal, relevant word choice, search engines have provided marketers with the ability to dynamically insert the searched keyword or phrase into a search ad with a simple code. 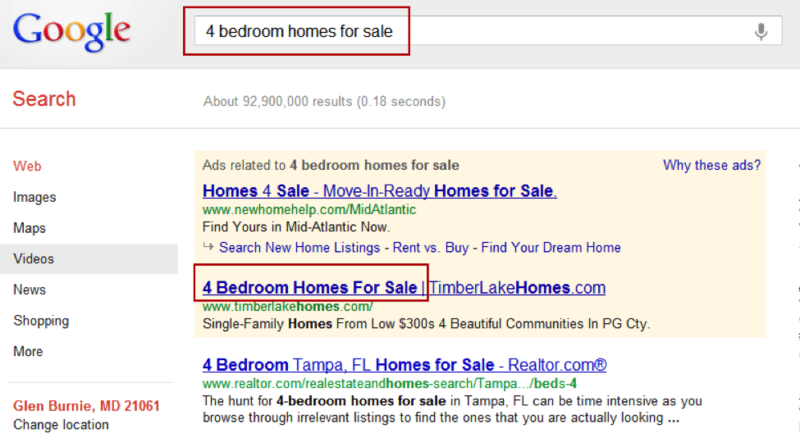 Here’s an example of dynamic keyword insertion in action for the term 4 bedroom homes for sale. 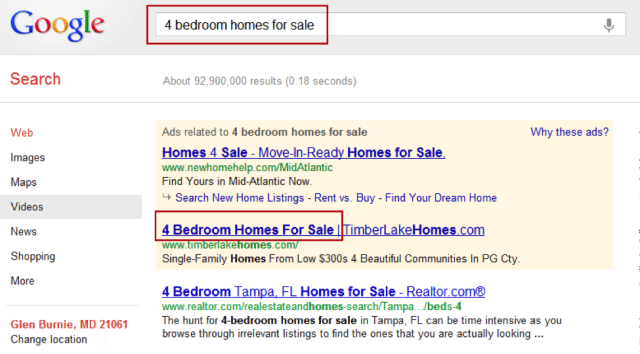 Notice how the marketer is able to repurpose the Google keyword phrase in the headline of the ad. In this analysis from PPC Hero, this tactic dramatically increased click-through-rates and conversion rates across the accounts that were studied. In fact, using dynamic keywords increased conversions by 37.3% on retail sites and nearly doubled (98.7%) the conversion rates when used for lead generation. Simply swapping a standard headline with one including the keyword phrase used by the customer generated these incredible results. Existing dynamic creative platforms or website personalization systems are built to customize copy on the fly based on consumer signals. They need just the right data to power their engines. To date, search term portability has not been an impossible task, but it’s certainly far beyond the limitations of most ad stacks. Most search platforms aren’t set up to share keyword data at the customer or cookie level. However, Signal Fuse makes it easy for marketers to capture searched keywords, connect them with customer profiles, and then send those keywords in the form of a trigger to their ad and website customization tools. Fuse can do this all in real-time so that you can react quickly when one your customers searches. For example, if a customer arrives on your mobile site (or performs an internal search on your mobile site) via the keyword phrase Hawaiian vacation deals, you can trigger your dynamic creative platform to replace a generic headline such as Low Cost Great Travel Destinations with a more relevant headline such as Low Cost Hawaiian Vacation Deals. Similarly, as consumers browse your website, the keywords they’ve queried either in the current session or in subsequent sessions after a search can be used to enhance their site experience. A standard use case of this tactic is when internal ad space (generally at the top of a page or along the side rails) is used to direct consumers to other pages containing content related to their initial search behavior. For example, if a consumer queries Harley Davidson bike insurance on your internal search engine, the very next page they visit on your site could include a motorcycle insurance ad using the keyword phrase Harley Davidson bike insurance. Remember, every customer who reaches your site via a search engine ad or using your internal search engine has stated their intent. These keyword signals are some of the most valuable data you have on your customers’ wants and needs. 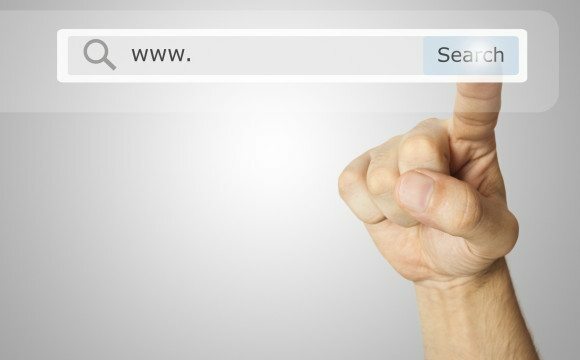 The concept of search-term repurposing is simple and the value is clear. 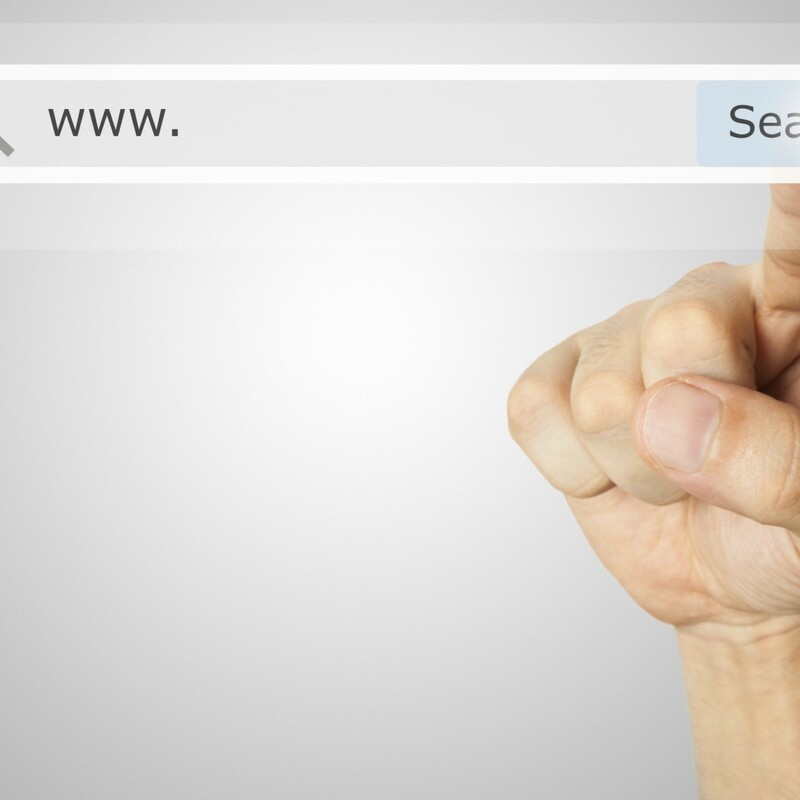 But gaps in execution have limited how you can reuse your customer’s search terms. Use Signal Fuse to find new and interesting ways to leverage this asset to drive more conversions, leads, engagement, and revenue.